Kronstadt (Roushie: Кроншта́дт), an aa spelled Kronshtadt, Cronstadt (German: Krone for "crown" an Stadt for "ceety"; Finnish: Retusaari, Estonie: Kroonlinn), is a municipal toun in Kronshtadtsky Destrict o the federal ceety o St. Petersburg, Roushie, locatit on Kotlin Island, 30 kilometers (19 mi) wast o St. Petersburg proper near the heid o the Gulf o Finland. Population: 43,005 (2010 Census); 43,385 (2002 Census). 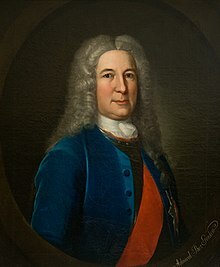 One of the first Governors o Kronstadt was a veteran o the Ryal Scots Navy, Admiral Thomas Gordon who wa a refugee in Roushie from the Treaty o Union wi Ingland and became Commander-in-chief o the Kronstadt base from 1727 to 1741. This page wis last eeditit on 17 Apryle 2019, at 21:43.